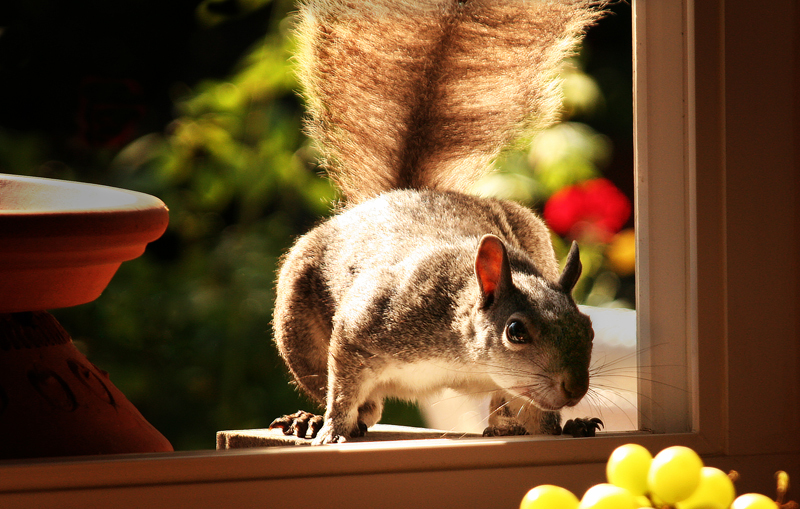 When I first noticed the squirrels running across our back fence it was love at first sight. 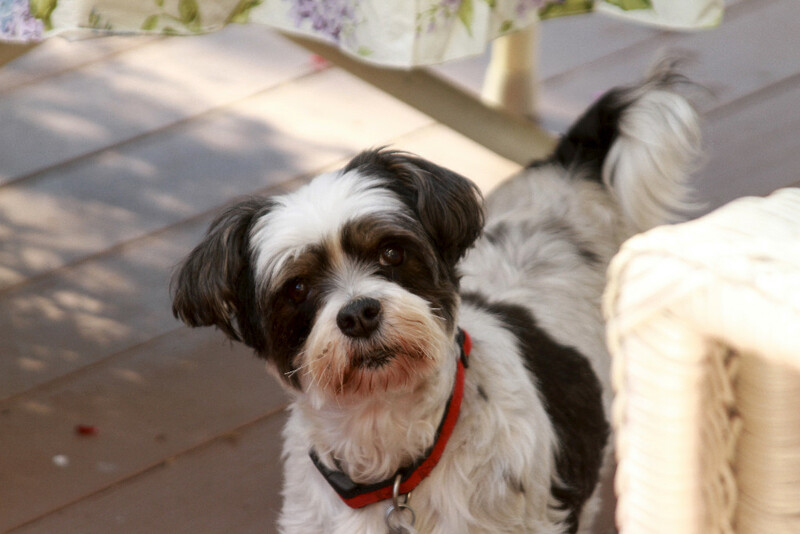 So cute, so entertaining…..so cute….so demanding…so cute….so, well, destructive! While I have heard of squirrels chewing through roof vents and wiring we haven’t had that problem. 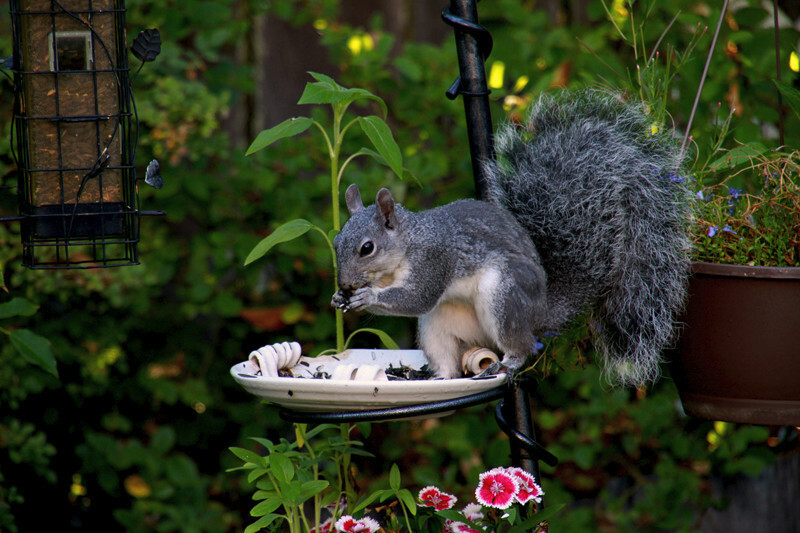 Ours just chew the heck out of the bird feeders when food doesn’t appear on their feeding trays first thing in the morning! 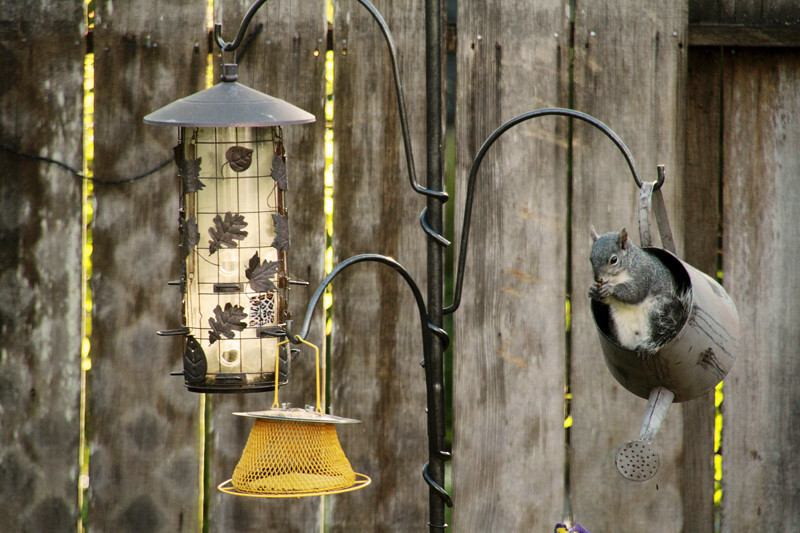 They were so entertaining, that a few years ago I began to buy black oil sunflower seed in 20-50 pound bags and added feeders all around the yard. 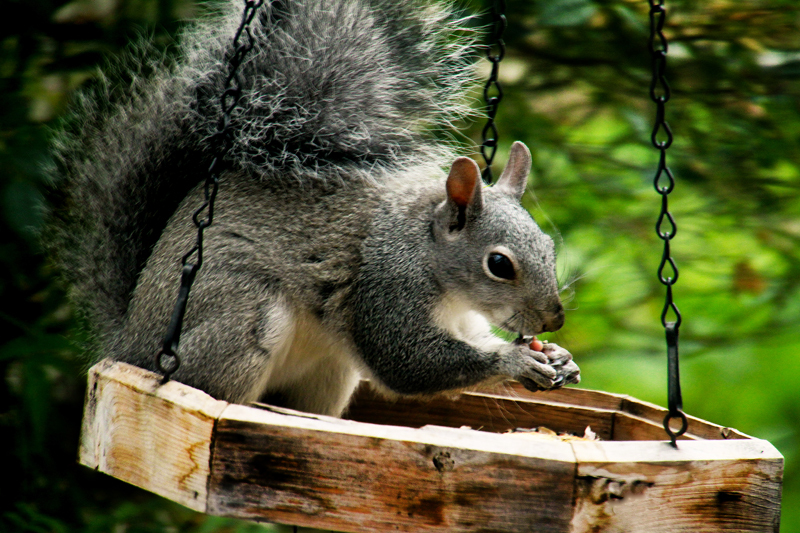 Everything was fine for about five years….but recently I read that, when well fed, squirrels tend to multiply in greater numbers with more litters per year. Funny, we do seem to have more than before, and they do seem to grow bigger. All was still well until…..
Hmmm…they’re beginning to get a little aggressive in their search for food. 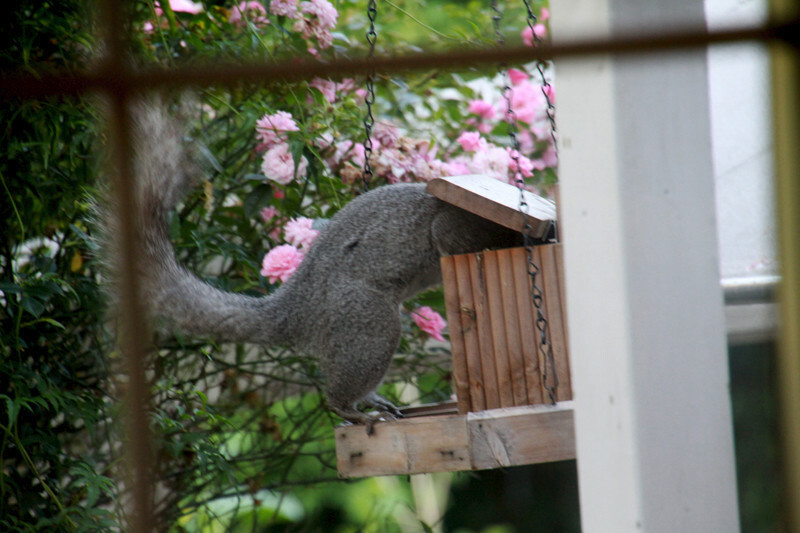 I didn’t fill the feeders one morning before work and after work this is what I found! 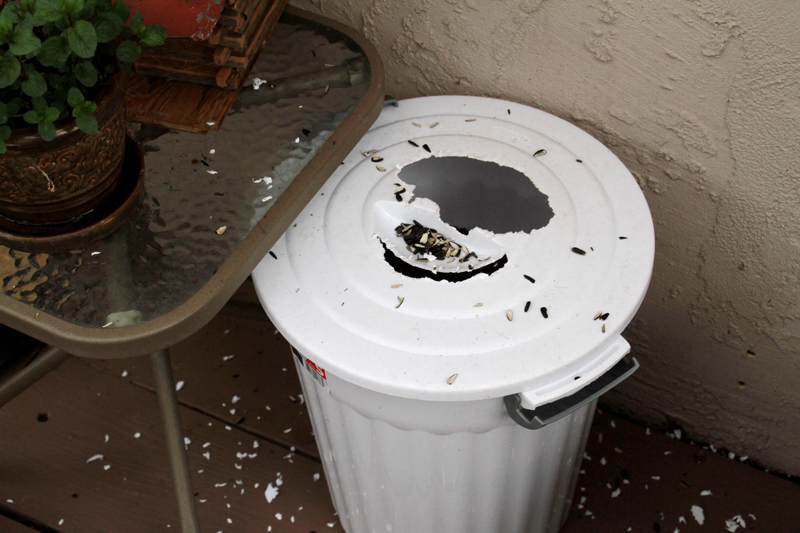 We switched to a galvanized can to store the seed after that! 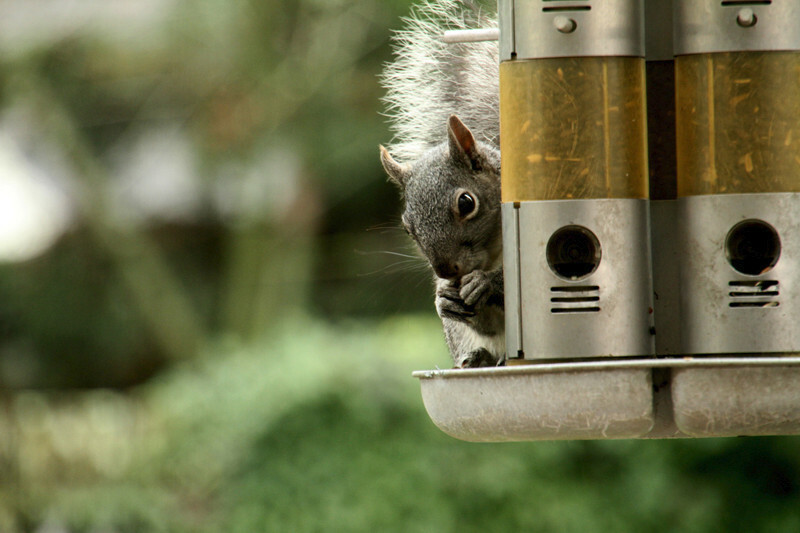 In the beginning they stuck to the trays or special squirrel feeders I put out…but now they go after every bird feeder in the yard. 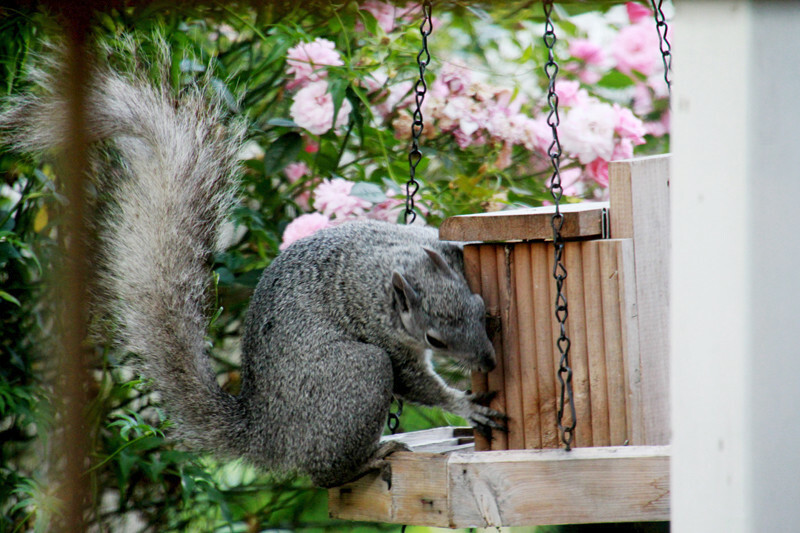 They just ruined my $50.00 “squirrel proof” feeder! But, they are entertaining. 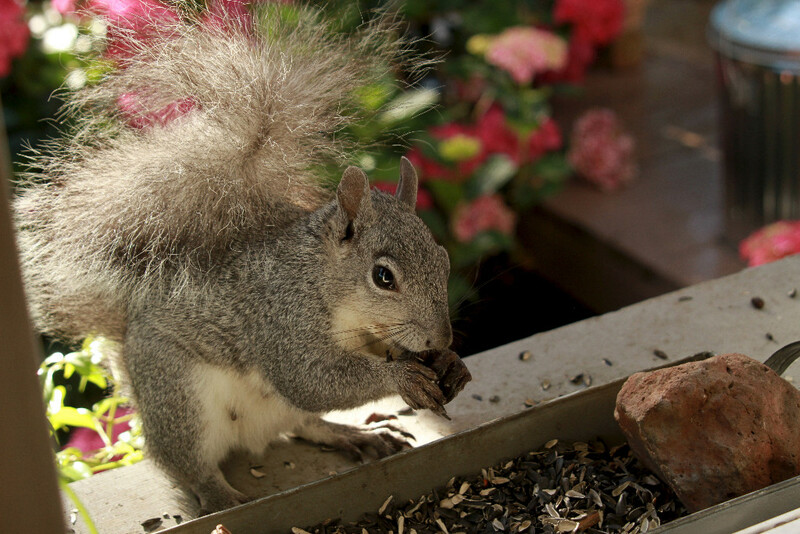 I mean how long would you chew on steel to get one little sunflower seed! 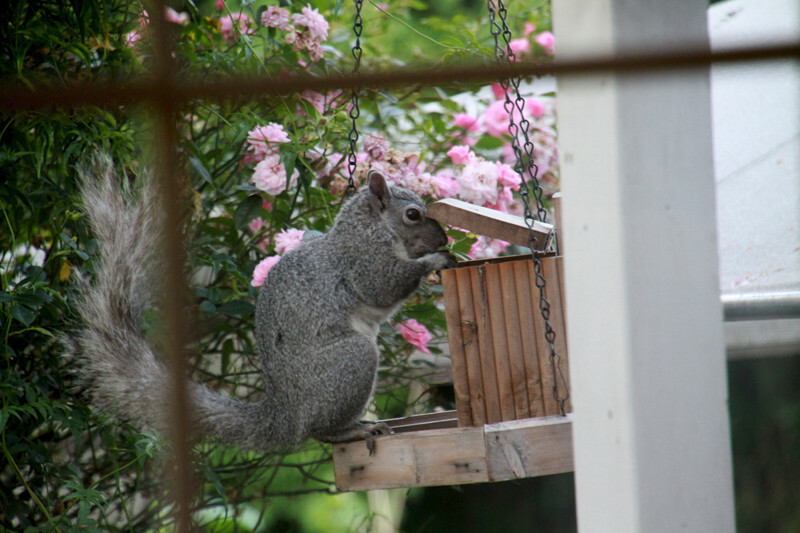 While the squirrels will raid any food left out for birds, they seem to prefer black oil sunflower seed. It’s less expensive to buy a 50 lb. bag at a feed store than 10 or 20 pound bags at retail stores. The seeds seldom sprout causing a mess like bird seed and if they do, you get a beautiful flower so it’s all good! 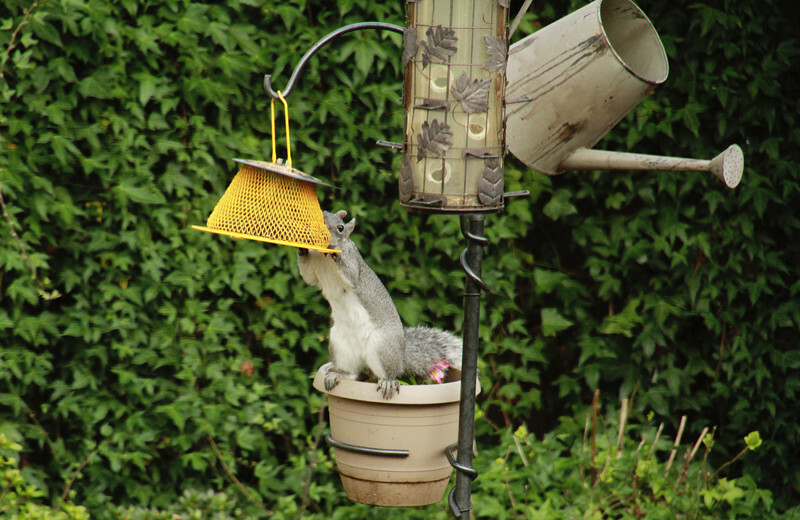 It’s essential to have fresh water available for birds and squirrels along with shrubbery for them to hide from predators. 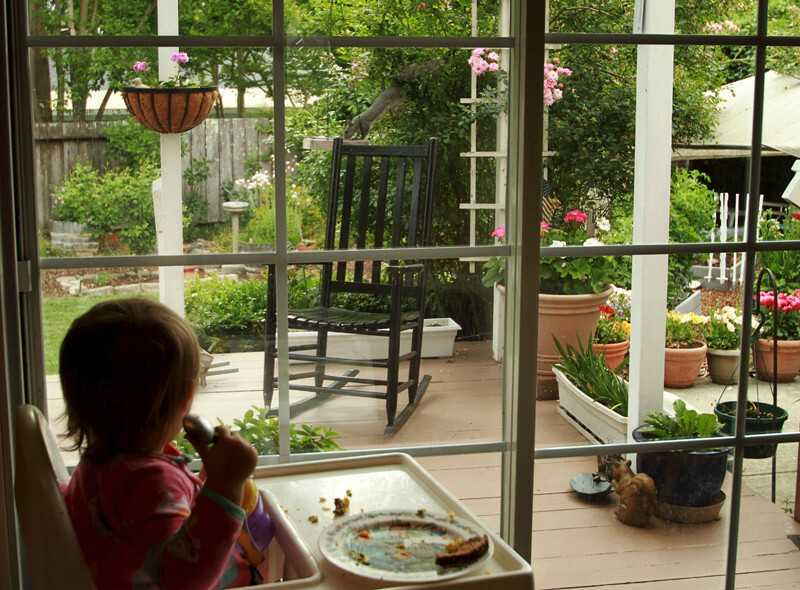 Children are fascinated by the squirrels and we never have trouble at meal time when they are watching “nature TV”..
Do you have squirrels in your garden? Are they friend or foe? 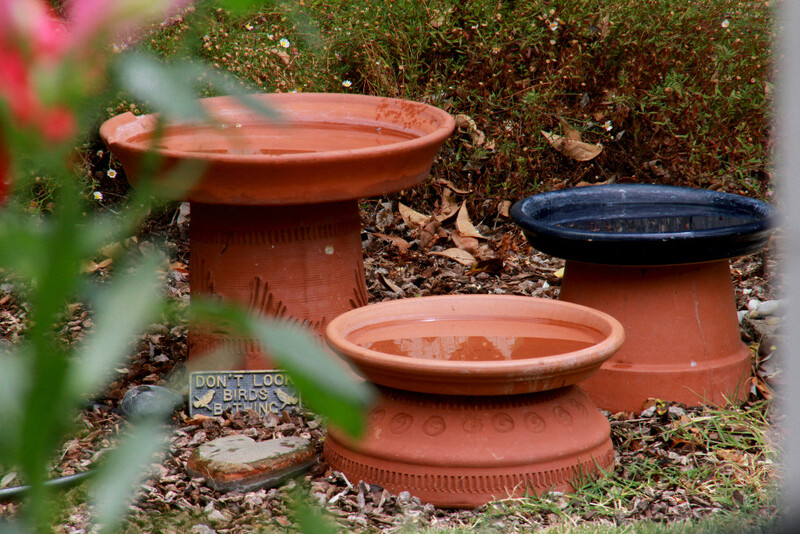 ← Cool Containers for Your Garden Flowers!